I have my SW4048 AC coupled to my Enphase Microinverter Solar System, so the Solar power comes in as AC to the critical loads panel where it is coupled with the SW4048. Everything seems to work fine, however when viewing the system performance diagram on the Conext Combox, I never see any energy flow from the solar input. How can I get it to show how much energy is coming in from the AC coupled solar? From the Enphase monitor, do you see them generating power/energy for your system (on grid mode and off grid mode)? 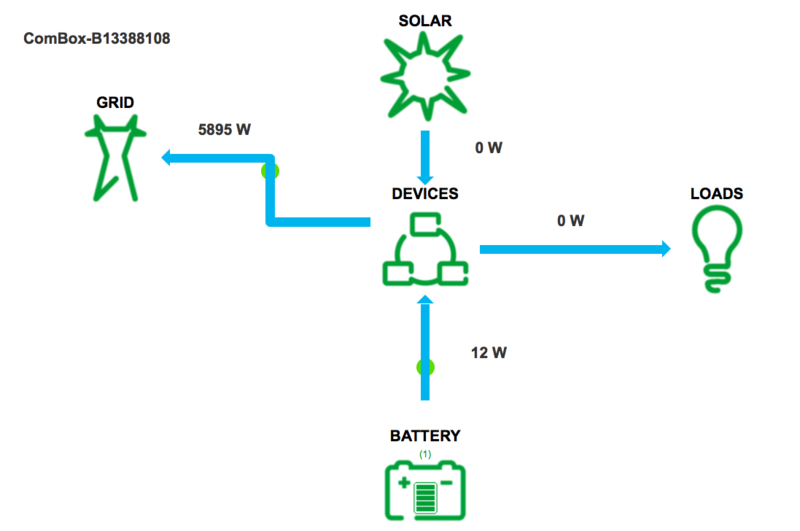 Normally, solar production information comes from the charge controller, but I believe in this configuration, you will need to get the data from the Enphase Microinverters via software or web portal. Yes. They are generating a lot of power. However, it does not appear in the Conext Combox when AC coupled. I am thinking it only shows if it is coming in as DC, through a Solar Charge Controller.....which I cannot use. The Enphase micro inverters convert the DC to AC right at the panel, so it meets up with the output of the Conext SW4048 at the critical loads panel. That is what I am thinking, at this point. I was hoping to be able to see the flow on the Conext System Performance page....but maybe that is not possible with an AC solar system. 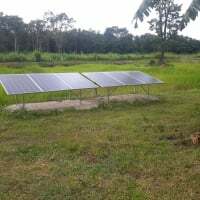 Being that the output from the Enphase system is connected to the output of the SW, thereby using its output as a reference to synchronize , it would make sense that the ensrgy produced is is not seen because its being consumed by loads. In order to see an input value, the AC support needs to be connected to an input, but GT needs a reference to produce, hense AC coupling. The only display possible, or should it be called a non display, would be the reduced load on the SW whilst the GT inverters are supporting loads, in essence the SW is blind to the AC coupling. Short of installing an external watt hour meter/logger the amount of energy used/produced would be unknown, AC coupling in this manner is one of the negative aspects, when loads are light the GT production goes wasted, unless a dump load, such as a hot water tank is used to at least absorb some of the otherwise lost production. My understanding of the theroy of operation at least. I think you are correct about not being able to view it. However, the excess PV production is still being passed through the inverter and to the grid......as the grid meter is recording it, so I will still get my pathetic credit for it.